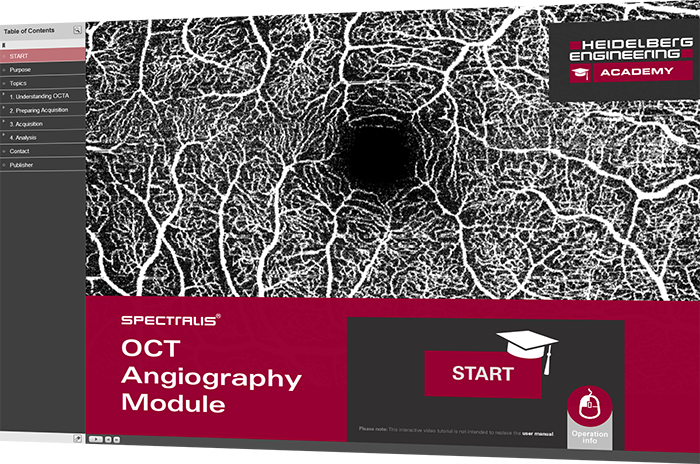 E-learning for SPECTRALIS OCTA Module available | Heidelberg Engineering Inc.
Each chapter only takes a few minutes and is complemented by interactive exercises. Those will help you to apply what you just learned. You will receive immediate feedback to improve your skills. We wish you a great learning experience!